In recent years, state governments across the country have created transparency websites that provide checkbook-level information on government spending – meaning that users can view the payments made to individual companies and details about the goods or services purchased. These websites allow residents and watchdog groups to ensure that taxpayers get their money’s worth from deals the state makes with companies. In 2013, for the first time, all 50 states provide some checkbook-level information on state spending via the Internet. In 48 states – all except California and Vermont – this information is now searchable. Just four years ago, only 32 states provided checkbook-level information on state spending online, and only 29 states provided that information in searchable form. 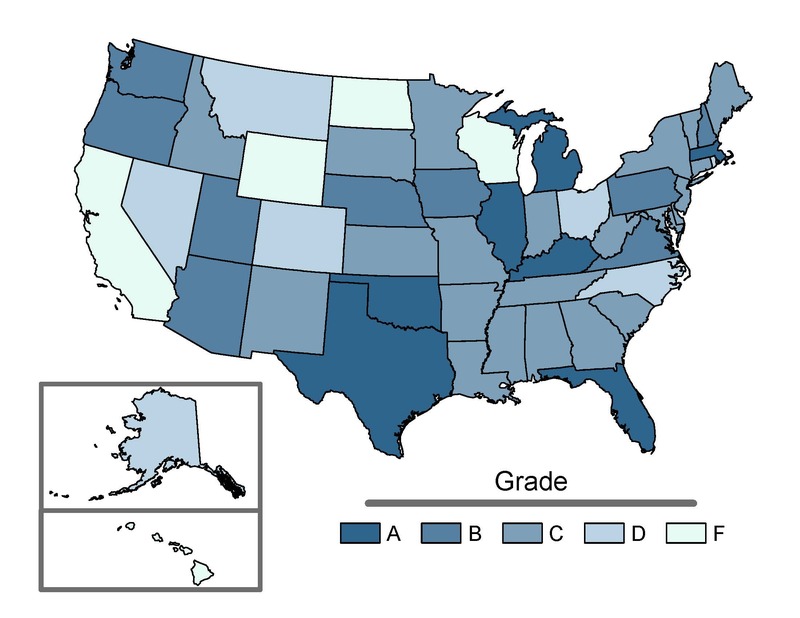 This report, U.S. PIRG Education Fund’s fourth annual evaluation of state transparency websites, finds that states are closer than ever before to meeting the standards of “Transparency 2.0” – encompassing, one-stop, one-click checkbook transparency and accountability. Over the past year, new states have opened the books on public spending and several states have pioneered new tools to further expand citizens’ access to critical spending information. Many states, however, still have a long way to go to provide taxpayers with the information they need to ensure that government is spending their money effectively. In January 2013, Maine launched its website, opening the books on $7 billion of expenditures in fiscal year 2012. The checkbook is searchable by 103 state agencies and offices, 43 spending categories, 33 purchasing funds and more than 58,000 vendors. In January 2013, Idaho launched a new website that enables users to view and download recipient-specific state expenditure information. The website also contains information on the state’s tax expenditures, as well as financial information on local governments. States have made varying levels of progress toward improved online spending transparency. Advancing States (“B” range): Nine states are advancing in online spending transparency, with checkbooks that are easy to access and cover many of each state’s expenditures. With the exception of spending on economic development tax credits, all expenditures available online are searchable, allowing residents to easily locate specific spending data. All Advancing States provide checkbook-level information on grants, which are often awarded through processes separate from contract awards. Also, all Advancing States, with the exception of Washington, provide spending information from quasi-public agencies. Emerging States (“C” range): Twenty-two states are emerging in online spending transparency and have launched transparency websites with checkbook-level information on contracts and some other expenditures. However, Emerging States provide minimal information on expenditures outside states’ usual accounting systems. Lagging States (“D” range): Seven Lagging States maintain transparency websites but are missing important pieces of their checkbooks and fail to provide other spending data that are available on most other websites. While these Lagging States provide checkbook-level detail on the payments made to vendors through contracts and grants, only one state – Ohio – provides information on economic development tax credits. Failing States (“F” range): Five states are failing in online spending transparency, and maintain websites that are checkbook-level, but are limited and hard to use. Not a single Failing State provides information on the public benefits of economic development subsidies broken down by recipient or makes its tax expenditure report available. Only one state – Wyoming – provides spending information on off-budget agencies. Some states have gone above and beyond standard Transparency 2.0 features. They have developed new tools and posted new sets of information on government expenditures, giving residents unprecedented ability to monitor and influence how their government allocates resources. Shining a Light on Pay-to-Play Practices: Illinois has launched a tool – called Open Book – that empowers the public and watchdog groups to explore contracts awarded to corporations side-by-side with electoral contributions those corporations have made. Integration of Local Government Data into Checkbook Tool: Utah’s checkbook allows users to view expenditures by city, and Arizona’s checkbook allows users to view expenditures made by two county governments. Mapping Tools: Oregon provides interactive maps that allow users to view where taxpayer dollars are spent. For example, the Watershed Enhancement Board map pinpoints project locations and provides the same checkbook-level detail as payments in Oregon’s main spending database. All states, including Leading States, have many opportunities to improve their transparency. Thirty states do not post checkbook-level information on economic development tax credits. Only eight states provide information on both the projected number of jobs to be created and actual number of jobs (or other public benefits) created by economic development subsidies. Eleven states’ checkbooks on contracts cannot be searched by all assessed categories – vendor, keyword and purchasing agency. Sixteen states do not provide any information about the expenditures or revenues collected from quasi-public agencies or public-private partnerships, prohibiting citizens from monitoring such “off budget” state expenditures.